In the second article from our featured charity, we find out about some of the opportunities available across the country. 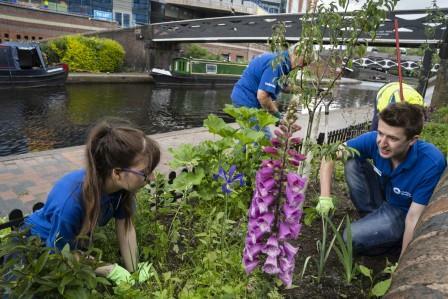 At the Canal & River Trust we believe that spending time by water can make us happier and healthier. That’s not only true for the people who enjoy boating, walking and relaxing on our 2,000 miles of canals and rivers, it’s also true for our colleagues and volunteers who work hard every day to ensure that life really is better by water. Independent research shows that regularly being on or next to our waterways makes you feel better. Imagine then, the wellbeing benefits of spending your working days out on the towpath. For anyone who likes being in the great outdoors, the Trust has a vast number of opportunities and there are all sorts of ways you can take your next steps with us.